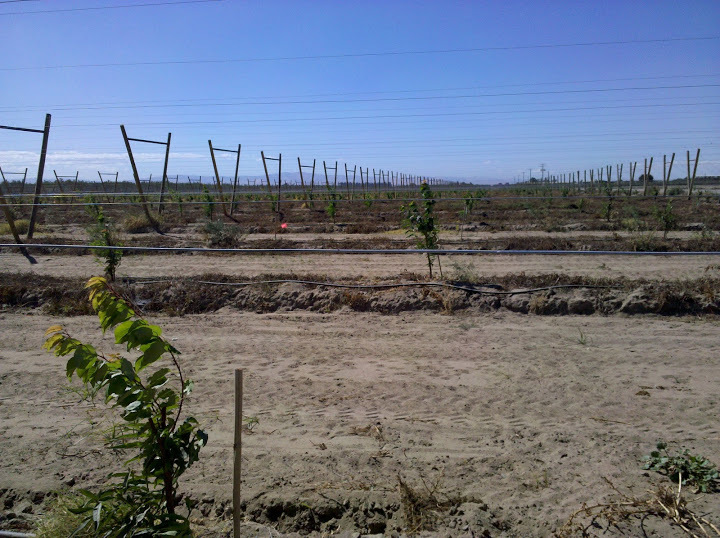 Kataru's love and pursuit of Farming: Trellis structure for Candy-cots, and ground prepped for almond trees..
Trellis structure for Candy-cots, and ground prepped for almond trees..
Candycots are a special variety of apricots that are three times sweeter than your average apricot and much more favorful. 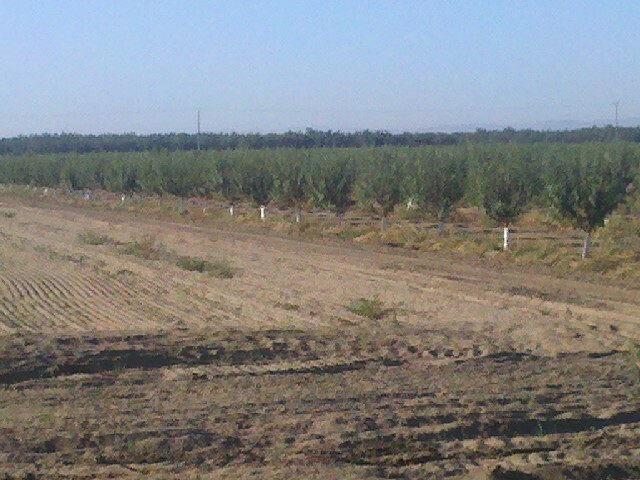 You can smell the sweet apricots from ten feet away. 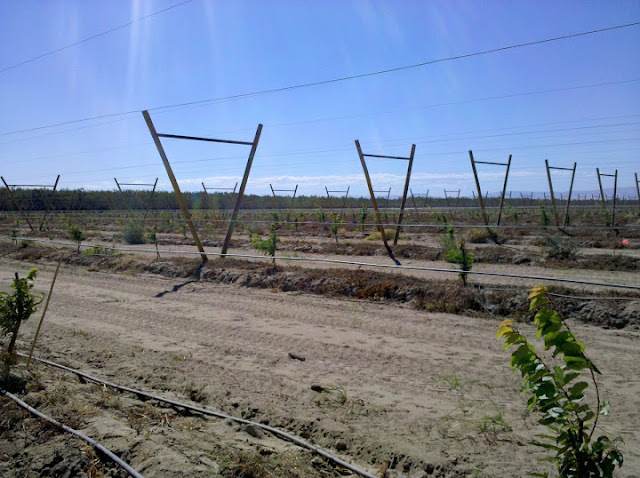 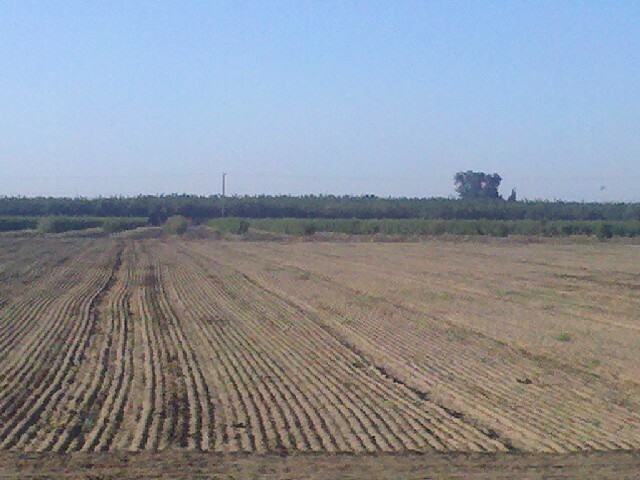 The last pic is of our new baby almond orchard at Whitmore.